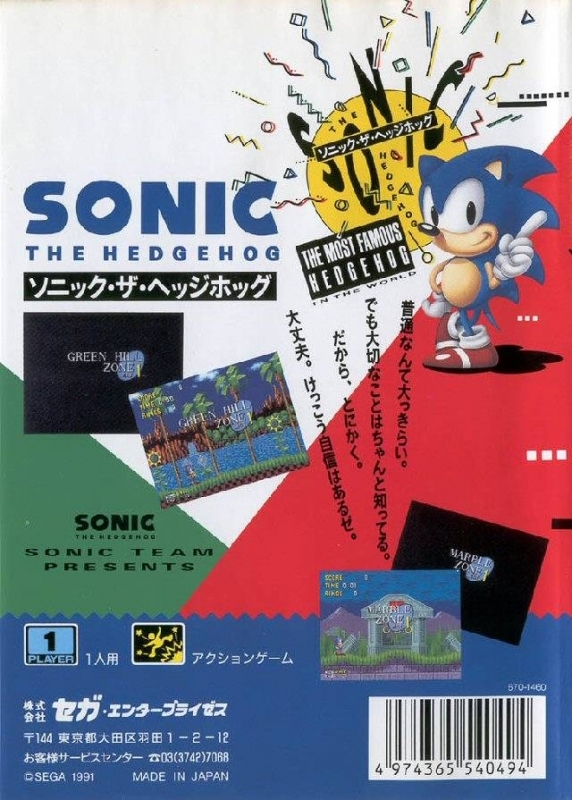 In the game, Sonic has to stop Dr. Robotnik (Dr. Eggman in Japan) from taking over South Island. He must go through 6 completely different zones, each comprised of 3 acts. Each zoned ranged from a green beach world, to a labyrinth with underwater areas. 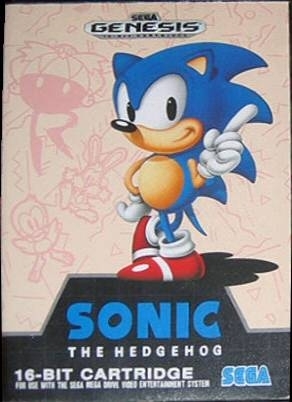 At the end of each Zone, Sonic must face off Robotnick who uses a different contraption each time, such a giant recking ball, or a spike. 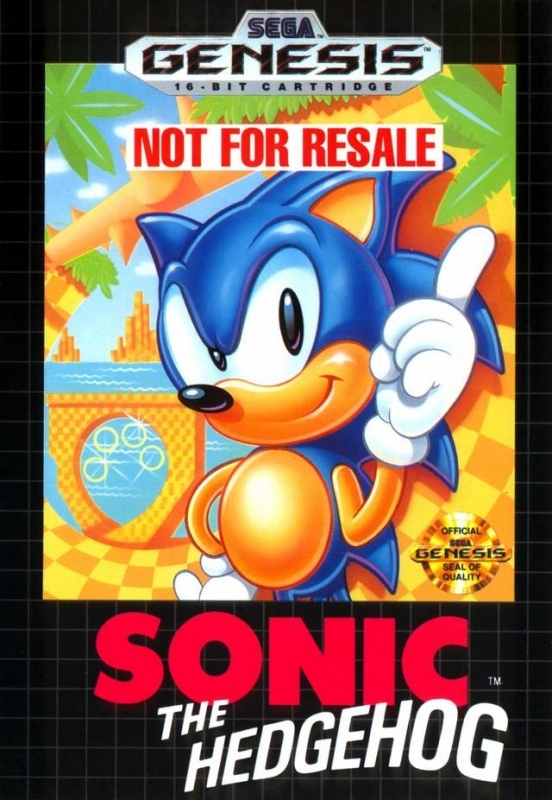 The gameplay was revolutionary for its time. 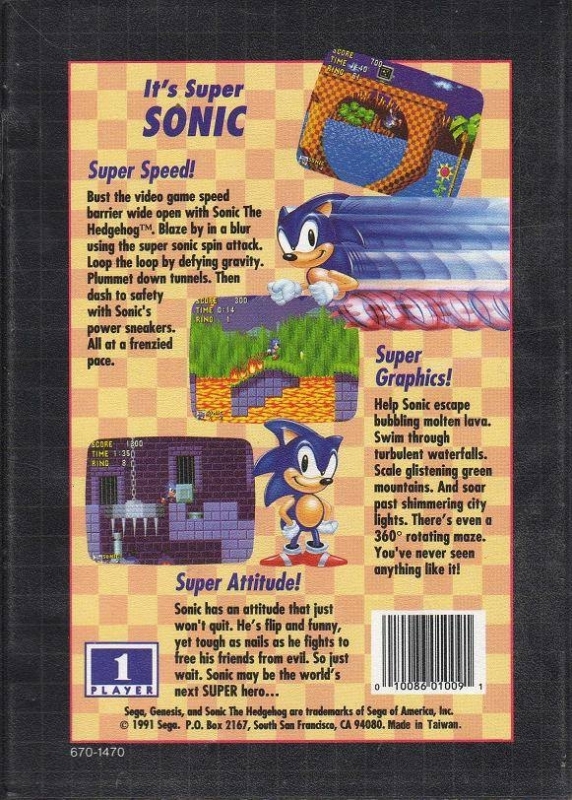 Sonic had speed, the abililty to jump high, and roll as he runs. 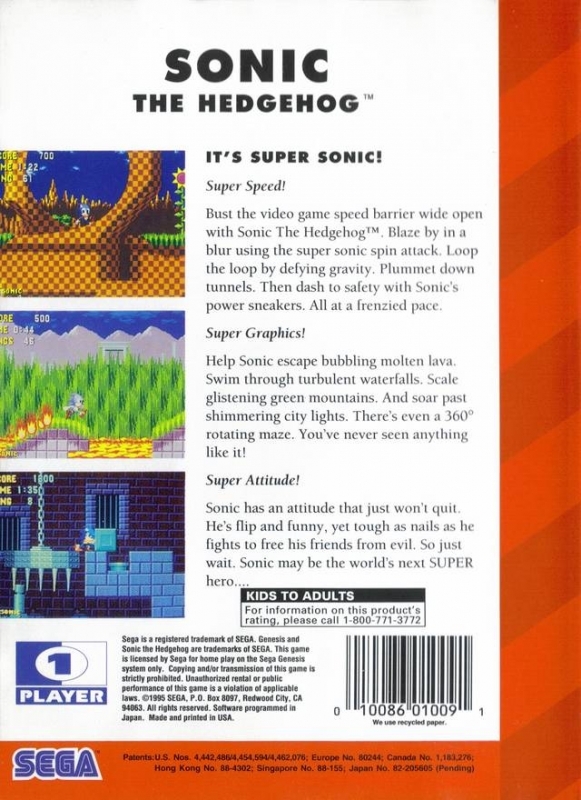 The levels are designed to show off Sonic's speed, through the use of slopes, springs, high falls, and even loop-de-loops. 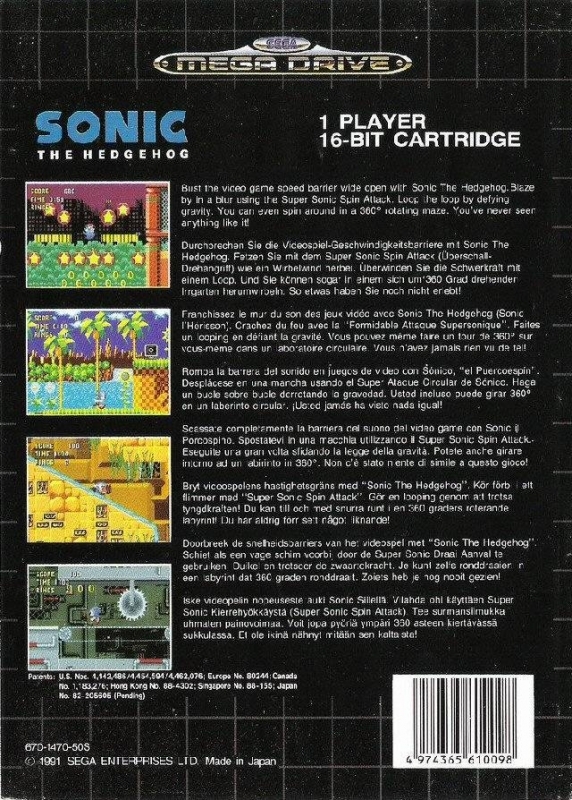 At end of the first 2 acts for each zone if Sonic had 50 rings or more he would be sent to a special stage where Sonic must each the end without hitting a goal which would end the special stage. 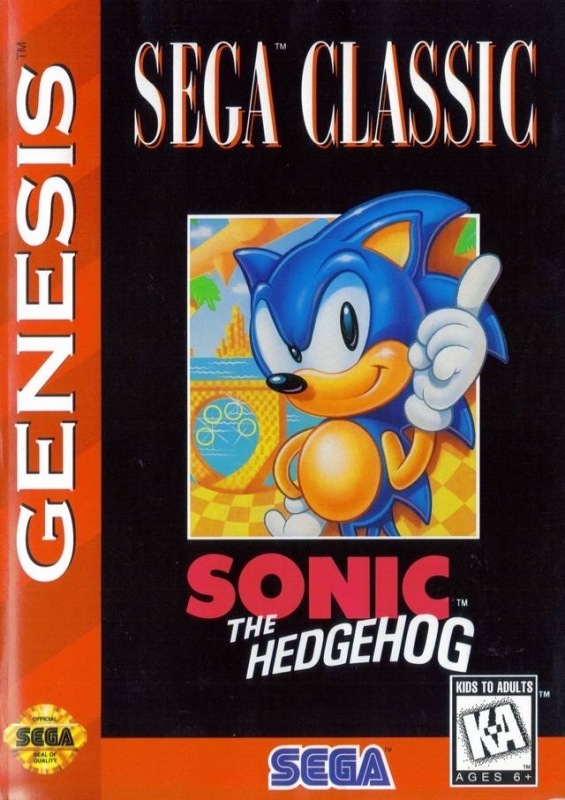 If he reaches the end he would get a chaos emerald, in which there were 6 in total (7 in the later games).